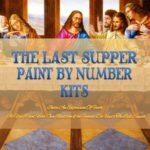 Are you looking for a Mona Lisa Paint by Numbers kit? If you have always dreamed of painting like Leonardo Da Vinci, you will be quite pleased to know that it is possible for you to pick up a paint brush and try your hand at reproducing the Mona Lisa which is probably by far one of the most valued paintings in the world. Now, it’s a for sure that the original Mona Lisa is out of reach to the majority of people in the world, especially with a 2015 value of around $780 million US dollars. However, that doesn’t mean that we can’t all have a Mona Lisa reproduction hanging on our wall. 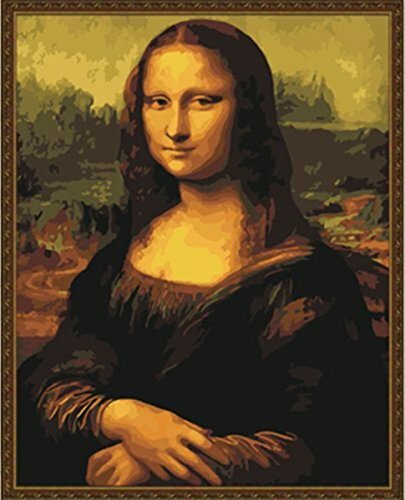 The fact is with this Mona Lisa Paint by Number anyone can enjoy reproducing this famous painting by Leonardo Da Vinci. A little history on the Mona Lisa original painting. First of all the Mona Lisa was painted by Leonardo da Vinci in 1503 – 1506 and maybe worked on until 1517. Leonardo da Vinci painted the Mona Lisa in oil paints on a white Lombardy poplar panel. The Mona Lisa was thought to be a painted portrait of Lisa Gherardini, the wife of a wealthy silk merchant Francesco del Gioconda from Florentine. Francesco del Gioconda was thought to have commissioned the portrait of his wife for their new home to celebrate the birth of their second son. The original Mona Lisa has survived for more than 500 years even after being stolen, vandalized and damaged by acid and a few other angered failed attempts against it. After the death of Leonardo da Vinci, in 1519, Leonardo’s assistant inherited the painting and sold it to the king of France, until the new king, Louis XIV took it to Versailles. Once the French revolution was over, and there were no more kings, the Mona Lisa was hosted in 1797 by the Louvre Museum, in Paris, France where it remains on permanent display to this day. If you are still want to know more about Leonardo da Vinci and the Mona Lisa you might find this documentary of interest. This in depth documentary of Leonardo da Vinci “Mona Lisa” is probably one of the best that you’ll find and if you are really interested in the original you find this interesting and enjoyable. 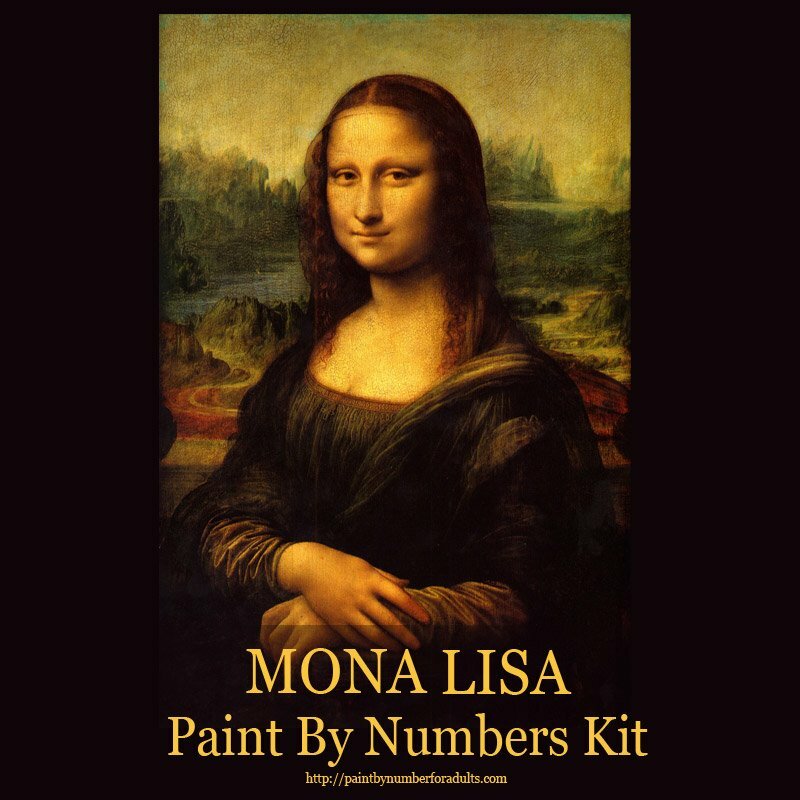 Now that you know a little bit about the original Mona Lisa let’s try one of these Mona Lisa Paint by Number kits. Here’s your opportunity to own your very own classic portrait! This Mona Lisa Paint by Numbers kit is by Schipper, it’s a little more expensive than all the rest of Mona Lisa paint by number kits, however, you’ll notice the high-quality pre-mixed artist paint flows easier and there is no lumps in the paint. 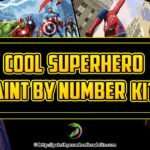 This actual paint by number kit was created by a well known German artist. 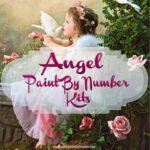 This premium paint by number kit is approximately 16 inches by 20 inches and comes acrylic paints, pre-painted texture board, artist paintbrush and not to forget an easy to follow full instructions. 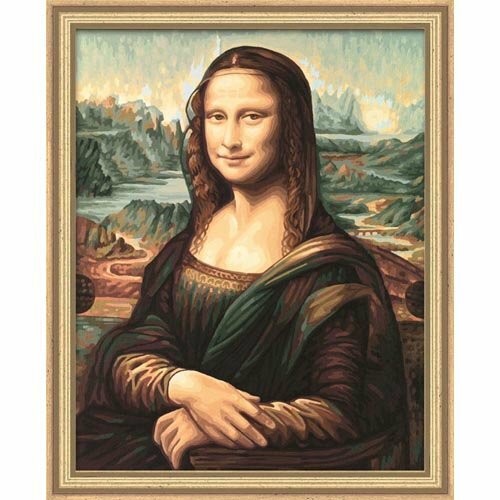 Diy oil painting, paint by number kit- worldwide famous painting Mona Lisa Smile by Leonardo Da Vinci 16*20 [Wooden Framed] Diy Oil Painting, Paint By Number Kit- Mona Lisa Smile By Leonardo Da Vinci 16*20 Inch. These two Mona Lisa paint by numbers kits are less expensive then the Schipper one above and are both pre-printed on a canvas. One comes with the wooden frame the other without the frame. 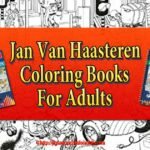 The majority of reviews on these two DIY painting are pretty good. 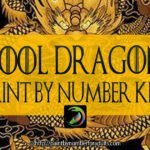 Both of these paint by numbers come with acrylic paints, brushes and and pre-printed numbered canvas that requires stretching. The two Mona Lisa Paint By Numbers are 16 inches by 20 inches. NOTE: I would suggest that you buy a few artist paint brushes if you are looking for more detail. I love digging into the history of the famous paintings that would like to try and reproduce. It seems like the more I know about the background of the painting, the artist, and the subject, the more I get into my painting. It’s a whole unique journey for me, the completed piece of art work is wonderful but for me it’s everything else that goes into it that makes painting such a wonderful experience. 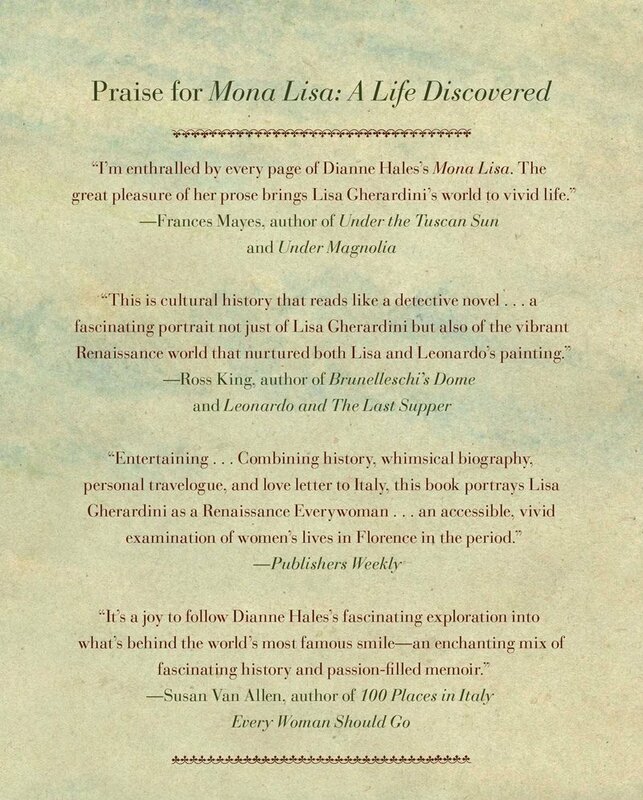 If you still want more information on Mona Lisa, you’ll love this amazing book by Dianne Hales. This is a book for those of you who love Italy, Florence, art history, Da Vinci or the Renaissance. The author discovered the real woman behind the most famous painting in the world and you’ll be taken on a journey to discover this woman, who she was and what her life was like. This book is a gem and hard to put down once you start reading it. A genius immortalized her. A French king paid a fortune for her. An emperor coveted her. Every year more than 9 million visitors trek to view her portrait in the Louvre.Yet while everyone recognizes her smile, hardly anyone knows her story. Mona Lisa: A Life Discovered, a blend of biography, history, and memoir, truly is a book of discovery—about the world’s most recognized face, most revered artist, and most praised and parodied painting. Who was she, this ordinary woman who rose to such extraordinary fame? Why did the most renowned painter of her time choose her as his model? What became of her? And why does her smile enchant us still? 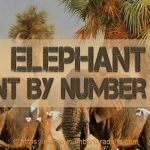 All in all this is an excellent book, that is written with passion and intensity. If you are wondering This book Mona Lisa: A Life Discovered by Dianne Hales comes in digital format, Hardcover, and paperback. 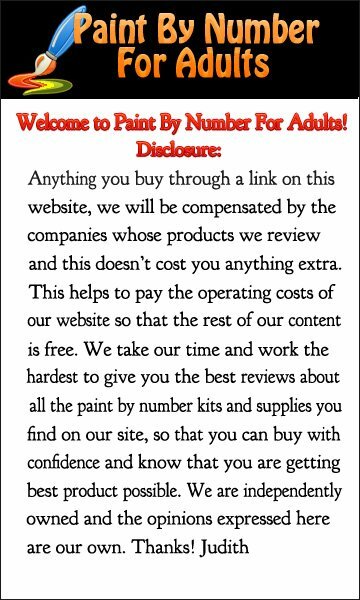 I hope you found this page Mona Lisa Paint by Numbers helpful and if you have any further question on these kits feel free to leave them below.